One hundred and twenty five years ago this week, hundreds of newsboys took to the streets in protest of unfair pricing and competition practices. It was not their first time and, most memorably, it would not be their last. 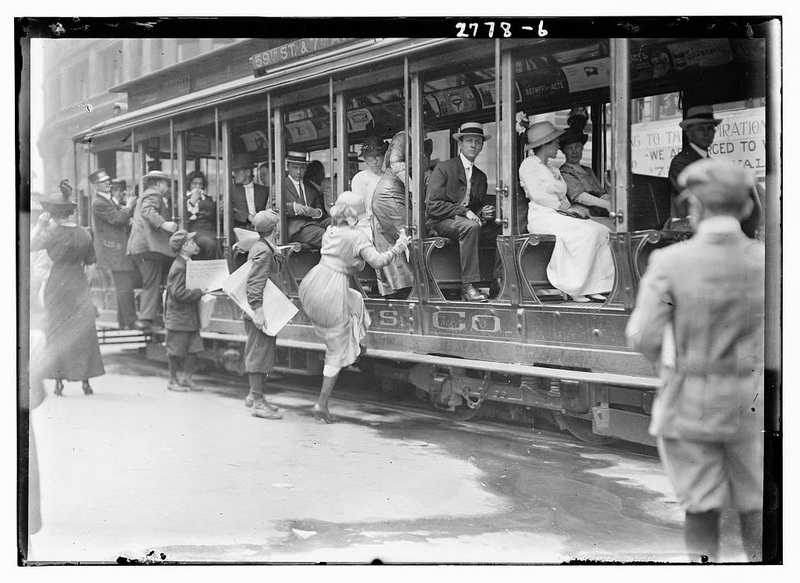 Battles between newspapers and their youngest independent employees had been waged several times in the past, mostly because publishers could reintroduce bad business practices once a certain generation of newsboys grew out of their jobs. It would not be until the 20th century that newsstands — and the adults that owned them — would become the primary source for selling papers. Three years earlier, in 1886, a strike by Brooklyn newsies against publishers in that city sparked riots that lasted almost two days. Brooklyn boys would also join their Manhattan counterparts in protest on August 12, 1889. The newsies strike in 1889 would be unsuccessful, but it’s notable for being incredibly similar to the more famous strike ten years later. In 1889, the Evening World (the newspaper of Joseph Pulitzer) and the Evening Sun (owned by Charles Dana) bumped up the price of their bundles of 100 papers from 50 cents to 60 cents. The kids revolted. Pulitzer’s paper would pull this same tactic ten years later on a new batch of newsies, this time raising the prices due to the popularity of the (largely media manufactured) Spanish-American War. When the war was over and sales decreased, the World attempted to keep the higher price, joined in this scheme by William Randolph Hearst and his New York Journal. The kids again revolted, but more successfully. 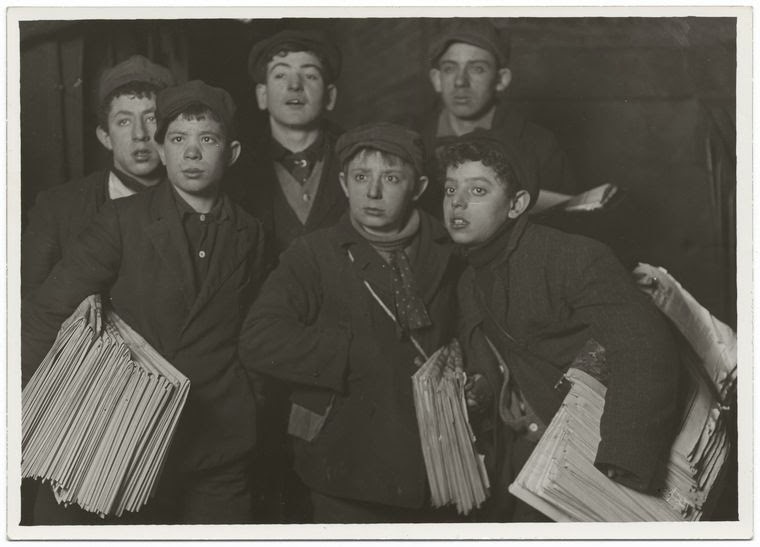 Newsies were usually depicted in the press one of two ways — pathetic whelps who latched on to any sign of good will or little criminals who were up to no good. There was truth in both of these characterizations, but the stereotypes were often exaggerated. The Times coverage of the 1889 strike upon the newspaper’s competitors focused on the newsboys delinquent ways. Of the strike, “[a] number of fights followed, and some of the boys were very roughly handled.” A couple teenagers were dragged to the Tombs Prison Court, one for assaulting a police officer. At some point in the next decade, the price decreased back to 50 cents again. When publishers would again attempt to raise the price, they would be met by a larger and more organized force. NOTE: Some girls also sold newspapers although I’m sticking with “newsboys” in this article as all the participants mentioned in the coverage of the 1889 event were young men.